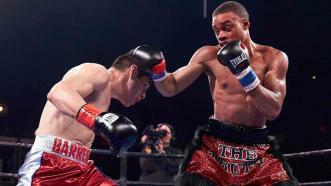 PBC Best of 2015: Top Rising Star - Errol Spence Jr.
NBC's pick for Rising Star of the Year goes to Errol Spence Jr. (19-0, 16 KOs). 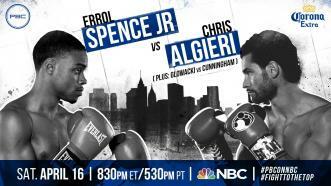 Spence Jr. is undefeated, he's a southpaw, and he has an 84% knock-out ratio. 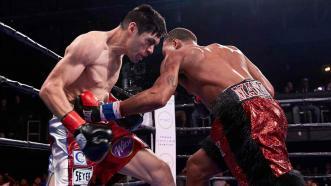 2016 should be a big year for the 25-year-old. 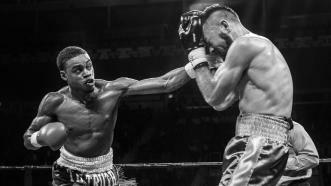 PBC Rising Star of the Year: Errol Spence Jr.
Errol Spence Jr. fought four times in 2015, taking 20 rounds to stop the fighters who climbed into the ring with him. 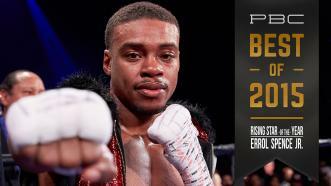 For his outstanding performance, the editors of PremierBoxingChampions.com have selected Spence as the PBC Rising Star of the Year. 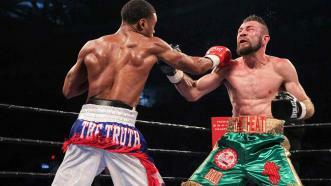 Unbeaten 147-pound contender Errol Spence Jr. put on a show for his hometown fans, finishing off Alejandro Barrera in the fifth round.